Stella York size 12 (fits like a 10) with illusion neck and back lace details. Top color is ivory and bottom has moscato colored tulle and an almond colored gown underneath. 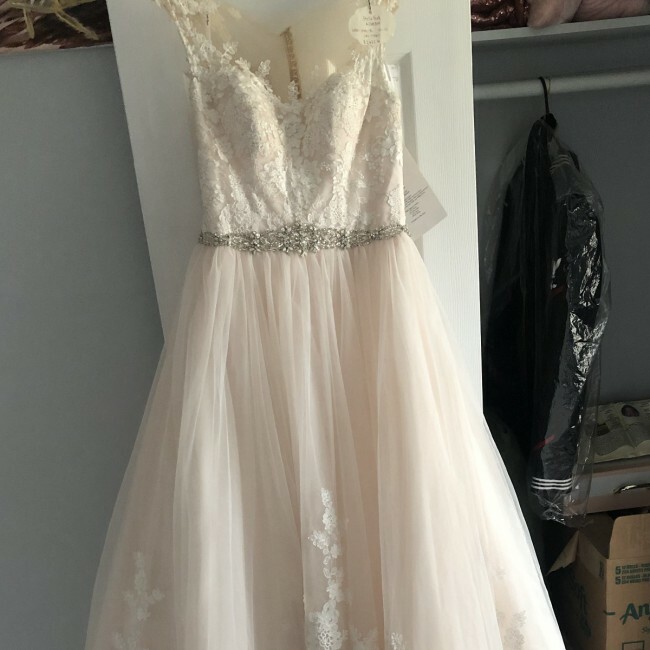 I bought it for retail price ($1,622) off the rack but have since outgrown it before my wedding. The only defects with the gown is a missing button which can easily be replaced and a single stretched out button hoop; also easily fixable. I’m willing to sell for best offer, I just want to get a dress that fits me!